Amaretto Sour belongs to a traditional family of mixed drinks called sours. Common examples of sours are the Margarita and the Sidecar. Sours belong to one of the old families of original cocktails. Sours are mixed drinks containing a base liquor (Amaretto in the case of an Amaretto Sour), lemon or lime juice, and a sweetener (triple sec, simple syrup, grenadine, or pineapple juice are common). 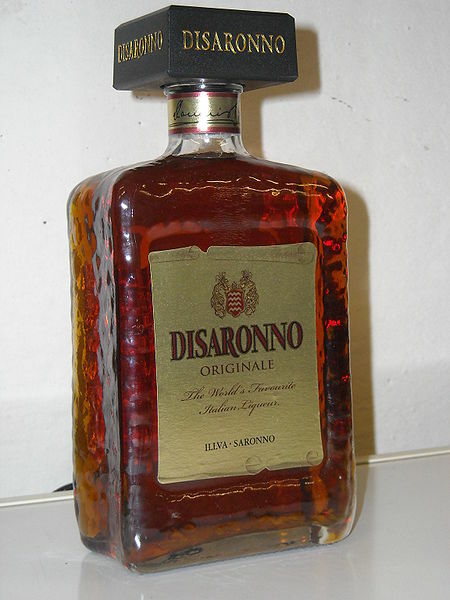 Left: The Disaronno Originale square bottle, the most popular brand of Amaretto. Amaretto is an Italian sweet almond-flavoured liqueur. It is made from a base of apricot or almond pits, or sometimes both. Pour all ingredients into a cocktail shaker. Add ice, shake vigorously, and strain into a sour glass.